LED Shop Lights Provide Interior Lighting for Residential and Light Commercial Applications Including Workshops, Utility Rooms, Garages, and more. 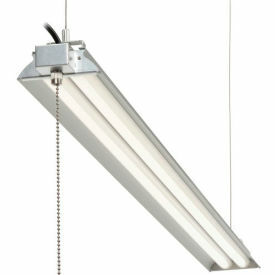 LED shop lights are made of high quality materials for durability and corrosion resistance. Clear prism shaped acrylic lens provides even illumination and protects lamp from damage. Adjustable height cables and brackets allow application and location versatility. 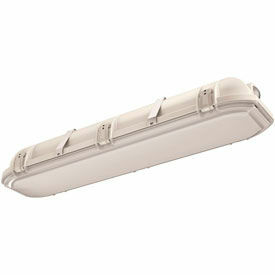 Includes pull cord for easy on/off operation. Input watts range from 28-40. Color temperatures are 4000 and 5000. Average life hours up to 50,000. Lumens are 3133, 3200, 3850, 4000, 4200, 4300, and 4375. Color finishes are Black, Chrome, Natural Aluminum, Silver/White, and White. UL listed. CRI and lengths vary per model.